As with anything in DBT, life is about balancing, right? Balancing your logic mind with your emotion mind, balancing your recreation and rest with responsibility, and balancing your wants with your needs. Part of interpersonal effectiveness means that you are going to weigh what your urges are. Are you asking for something from a person in your environment because it is a need, or a desire? There is a difference and it is important you know which it is, because depending on which it is and what sort of situation you are in will heavily weigh in on how adamant you are about getting what you are asking for. This concept is also true for whether you are saying no to a request based on a need of yours or a desire of yours. What are some other experiences that will directly impact your use of interpersonal effectiveness skills? What are some other cases in which you will have to be sure that your skills are nicely honed in order to come off effective? Well, we all have relationships in life. From the relationship you have with the local grocer or your mail-person to the relationship you have with your parents, siblings, co-workers, and a mate. Notice I did not say, we all have great, wonderful relationships. Because some of these relationships that we have may not be great even though we really would love it to be so. Like you may have a relationship with your mother and no matter how much you want it to be better, it simply may not be. The question isn't whether the relationship is good or bad, or if it is as effective as you want it. Rather, when you are deciding what skill to use you will be consulting yourself as to whether you need to be focusing on attending to the relationship or if the priority should be given to your own self-respect. Likely, we all understand and have had experience with, when there is conflict we have a struggle and a choice to make, do we give in to preserve the relationship or do we dig our heels in to preserve self-respect? The answer of course is neither. Obviously at first it may look a little messy, but ideally over use and practice we will learn how to prioritize between three focuses for every interpersonal interchange. In the end behaving in a way that was effective with our self-respect in tact, whatever weight the relationship was in need of was given and your objective was taken serious and possibly even achieved. Often times couples find themselves in this position. Neither person is listening and neither person is yielding. In this scenario, just looking at it, not even hearing either side to the argument we can clearly see that neither person is attending to the relationship and trying to preserve it. Neither of them are protecting their self-respect and are going to feel very skillful when their argument is over. Do you think either of them are mindful about what their objective is at this point? Or are they perhaps just going off of pure emotion. What about their priorities? Are they in check? Or are they just making demands at this point? Over the next few weeks we will look, in detail, at how to attend to the relationship, balance priorities vs. demands, balance the wants-to-should, and learn how to build mastery and self-respect. A couple of things to be very much aware of, like not allowing the hurt to build up and brew resentment. Problems only build on one another if this is allowed. We will need to learn relationship skills to head off problems rather than wait until they arrive and try to tolerate or problem solve it. Which we will want to also be skilled at doing, but having the fore-knowledge and forward thinking enough to avoid problems where ever we can will make this less work and more enjoyable. Playing catch-up and cleaning up the conflict in the aftermath all the time can become very tiring. Some conflict cannot be avoided, and that is OK too. But the idea is when conflict does come your way we need to learn ways in order to cope with and resolve these conflicts before they have grown to an overwhelming state. This will take great skill, because you will have to learn how to be mindful of your conflicts, notice your body sensations that we have been working on during your conflict, your body gives you signs when things are getting too overwhelming. Finally, you are entitled to terminate hopeless and toxic relationships. In fact this happens to be a need. You need to end those types of relationships. This isn't just some silly, simple want. 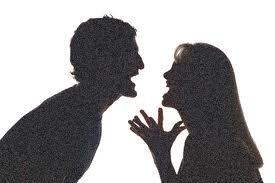 In fact in most cases you may not even want to terminate a hopeless and toxic relationship. Chances are you are drawn to that relationship by forces that you cannot quite put your finger on. There are probably many reasons that you have told yourself as to why you cannot terminate the relationship. But what you will learn over time is that this is your life that is on the line. This is a matter of life and death, your life and your death. You not only have the right to terminate these deadly relationships but you also have the permission to end them. You may not know it yet, but by all of your hard work and commitment you are giving yourself permission with every step closer to that life that is worth living. It is almost every humans desire to have an effective relationship. One that a person would want to remain in a relationship with you, and by your actions you will encourage others to continue to like and respect you. You then are responsible for dealing with conflict with this person or persons by balancing immediate goals with the good of the long-term relationship. Some questions you may ask yourself when conflict arises, How do I want the other person to feel about me after the interaction is over? What do I have to do to get (or keep) this relationship? Next week we will discuss two other goals for interpersonal effectiveness, Objectives Effectiveness and Self-respect Effectiveness. Between these two and this weeks Relationship Effectiveness will make the perfect combination to handle every conflict that could possibly come our way. It is like a recipe, where one conflict may put Self-respect Effectiveness as the priority in conflict resolution, where-as another type of conflict would require Objective Effectiveness to be of the main focus. Deciding which order they go in for what reasons and the skills around them each will enable you to make for yourself a tasty batch of Interpersonal Effectiveness. Celebrations: when are they a bad idea? Kisses make it all better, maybe.